Part of one of Austria's largest ski areas, the Salzburger Sportwelt Amadé, Flachau is directly lift -linked to Wagrain, Kleinarl and Flachauwinkl, and from there to Zauchensee and Alpendorf. The village has been made famous in recent seasons by the spectacular achievements of its famous son Herman Maier, World and Olympic Champion. The nearby village of Reitdorf, lift-linked to Wagrain, is part of the Flachau domain. 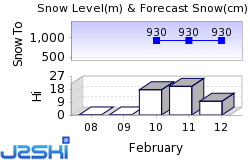 The next notable snow forecast for Flachau is 4cm2in, expected on 1 May. The Austrian Ski Resort of Flachau is part of the Salzburger Sportwelt ski area with access to 760km472 miles of downhill skiing, with 144 marked pistes, served by a total of 270 ski lifts. In addition to the skiing in Flachau itself (350km217 miles of pisted ski runs), the appropriate ski Lift Pass will allow you to ski or snowboard in the other Salzburger Sportwelt ski resorts of Altenmarkt-Zauchensee, Filzmoos, Goldegg, Kleinarl, Radstadt, St. Johann-Alpendorf and Wagrain. Flachau is directly linked by Ski Lift to the ski areas of Wagrain. Only 60 kms from Mozart's birthplace, Salzburg, lies Austria's very own Three Valleys ski area with over 300 kms of skiable pistes. 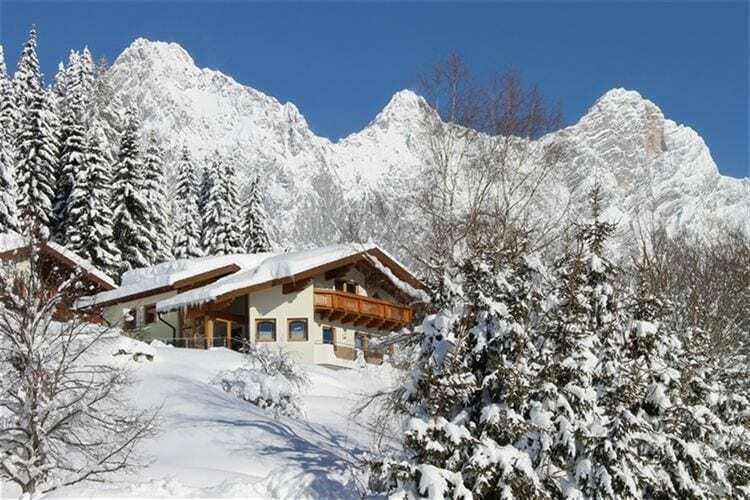 At the heart of the three valleys and just off Autobahnen 66, lies the Austrian farm community of Flachau, with its traditional rustic chalets. An intermediate skiers' and snowboarders paradise, Flachau's own ski area has 56 kms of ski runs, all of them graded blue or red whilst the linked area of Salzburger Sportwelt consists of over 300km (200 miles) of pistes, most of which is intermediate terrain with the remainder for experts. If the local Amadé region leaves you wanting more, then the Flachau is also a part of the Ski Amadé. This offers more than twice as much skiing again - in total there are nearly 1000km (700 miles) of trails on the pass, served by more than 250 lifts. The longest possible descent in Flachau is 6km4 miles long and the most difficult run is the 'Gamskogel Nord', which is 4km2 miles in length. The area proudly boasts it is the home of Hermann Maier, the Herminator, Austria's World and Olympic Downhill champion, so one has to assume the skiing has much to recommend it! And it does, if you are an intermediate skier, that is. With mile upon mile of wide, cruisey, beautifully groomed runs, most skiers will have a great wonderful time. Expert skiers, too, will find that the area is not without its challenges (don't worry, you don't have to race Hermann) not least the 6km run from the Griessenkar ridge. Thanks to the wealth of easy blue runs, beginners will find themselves with plenty choice when the time comes for them to graduate from the nursery slopes and skiers of all standards will be able to enjoy exploring the area together. The local ski schools can be excellent but make sure you are assigned an instructor who speaks your language. Cross country skiing is very popular around Flachau, with at least 160kms of trails of all standards to explore. Flachau offers good sking, particularly, for Intermediate skiers. The Riegler sisters, Claudia and Manuela, stars of the snowboard world cup circuit, hail from Flachau and snowboarders are very welcome here. There is a specialist snowboard school, a fun park (with chillhouse) and a half pipe. The wide easy terrain is marvellous for carving and free riders may find some more radical terrain to suit them, especially when there is fresh snow. We don't currently have confirmed season dates for Flachau. NOTE:- Lift and Piste openings are always subject to Snow Conditions in Flachau. Flachau is able to make snow, on 56km35 miles of ski runs, with 200 snow cannons. The 100 ski lifts of Flachau are able to uplift 60,000 skiers and snowboarders every hour. Flachau is in the Austrian Alps in Salzburger Sportwelt, Salzburg, Austria. The nearest airports to Flachau are Salzburg, Klagenfurt and Ljubljana. There are eight airports within three hours drive. Salzburg is just one hours drive away, in good driving conditions, so you can be on the piste quickly. The Webcams in Flachau are not always up-to-date. 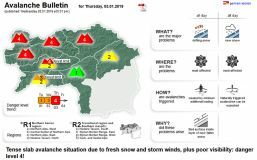 Please check the date on the image to ensure you are seeing current snow conditions. Flachau is an Austrian farming town and most of the skiing clientele is Austrian or German. As such the resort has an atmosphere the locals describe as gemutlichkeit (cosy and relaxed). There are several bars and discos (check out Yeti's Partyhaus) where guests and locals alike can drink and dance the night away but you are likely to find the nightlife is more friendly than frenetic. Other popular Ski Areas near Flachau. Want to ask about skiing and snowboarding in Flachau? Or contact Flachau Tourist Office. Note :- The information on J2Ski concerning Flachau, where not clearly factual, is opinion only and is neither definitive or exhaustive.